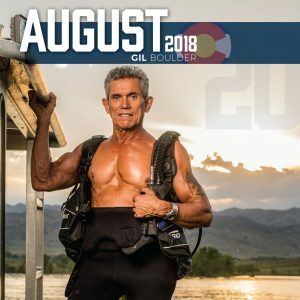 August is coming in HOT with our very own Vietnam Seal Team One Veteran and Retired Boulder Battalion Chief, Gil Espinoza, Mr. August! Learn a more about Gil, in his own words. What made you become a firefighter? One of my fathers first jobs in Boulder, as a laborer, shoveling snow off of fire station 2 at Baseline and Broadway. When he got home from work he told me he worked at the fire station shoveling snow. I asked him what it was like, what did they do? He said they were drinking coffee, smoking cigarettes and watching TV. He said, “I could do that job.” My first assignment was at station 2 and as I walked into the Fire Station and put down my bunker boots and hung up my helmet and coat, I felt in my heart; “Pops, now were inside, I smiled in my heart and I was at home. I retired from Boulder in 2012. What is your background/history as a firefighter? I graduated from the University of Colorado and I was looking for a job, Mrs. Gomez Martinez told me they were looking for Boulder Firefighters. Previously to attending CU on a wrestling scholarship, I was a Navy SEAL in Vietnam. SEA, AIR, and LAND, and now FIRE? I am a Fireseal, SEA, AIR, LAND AND FIRE! Hooyah! It was a challenge to my mind and a desire to be the best person I could be. I never thought about service in the beginning, it was about me challenging myself. As I began to see death in a different light than the war in Vietnam, my heart began to soften. I was becoming a human being again like my Father told me to never lose. I was loosing that part of myself and the fire service slowly brought me back to the words of my Father. What was it like to be a firefighter in Boulder? I had five years on the job when my buddy Billy Duran and Scott Smith were killed in a live fire training fire in Boulder. I thought that the job was easy, get up, go to work, sleep, get up, go home. But, then life became real again for me. I expected to get killed in Vietnam, I figured it would happen sometime, but here in Boulder, my home town, I never thought I could get killed on the fire department, it was an easy life compared to the Teams. That Day, I felt the responsibility of a point man again, an operator, a part of a platoon. I needed to do my best to become the best firefighter I could be. At that time, I was having a hard time being on the department because of some little issues and was readying myself to become a contractor in Afghanistan. That Day changed my life. I would stay on the department until I felt I had become the best all around firefighter I could be, one who was an Occupational athlete like the SEAL, know as much as I could regarding all the aspects of being a firefighter. I needed to know all about EMS, Hazmat, Incident Command, all water rescue, diving, and leading my crews to be the best they could be safely, or take off my Maltese and move on in life. What was your favorite part of your job? The favorite part of my job was being with my crews and serving the public. Prince, or Pauper all receive the same service with Courtesy, Dignity and Respect. I feel the crews that worked with me, took up some of my values and some have exceeded me. I tried my best to behave in an honorable way with my crews, and sometimes I failed, but was I never unable to say I was sorry. Why did you try out for the calendar? My sister, Margie, told me I should do the firefighter calendar when they first started. I am writing a book now about my experiences in the Teams and the Fire Service and in her honor and I tried out for the calendar. 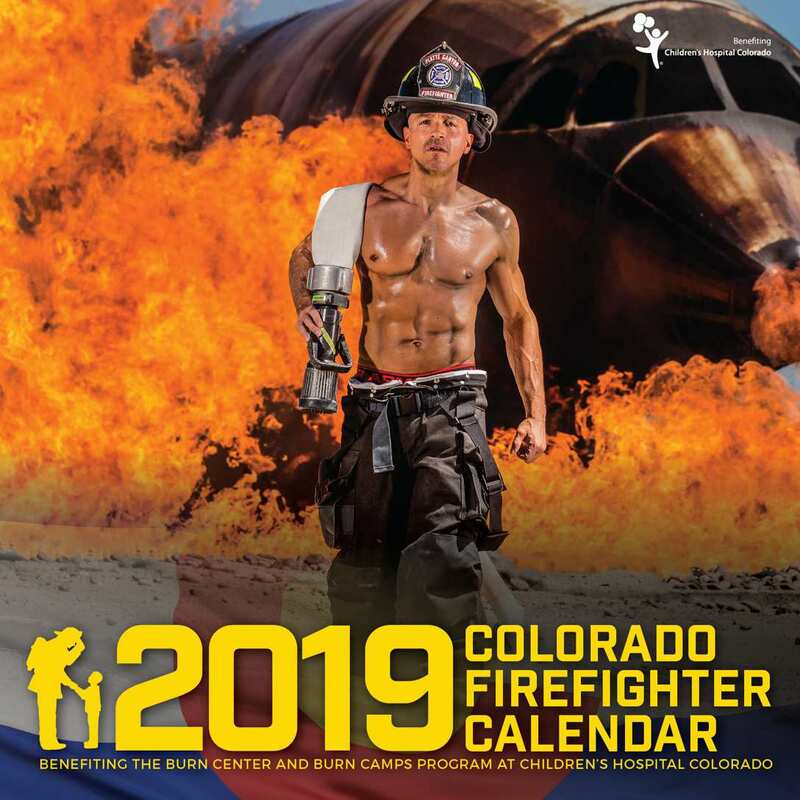 One of my female Boulder firefighters saw me in my Gym in Boulder and also told me, “you should try out for the Calendar Chief, you look great.” I was a little reluctant up until the actual runway event, one of the women who asked us questions name was Margie. I am now Mr. August and will be 71 years old this month, it was a good challenge that I am proud to be part of. I stay in shape only by the grace of GOD, I am fortunate that I only have the regular pains and aches of age. I am limited by a knee replacement, a bad shoulder and other stuff that just hurts. I know the difference between pain and injury, pain is a brother that lives close to me. I work out every day, chest and triceps, back and biceps, leg and deltoids, whole body if I feel good. 15 minute cardio after each session, If I feel like it. It was fun when the other calendar participants tried to figure out how old I was, “you were in Vietnam, graduated from CU, you had 37 years on Boulder Fire? How old are you?” They are my inspiration too. What was your favorite experience with the calendar? I love to see the little kids get excited and I like to interact with the public, sometimes it is a little embarrassing with my shirt off, but anything for the kids! It also pushes my boundaries. Now where am I going, what does the future look like, where’s the next challenge? I love that the time I spend for the Calendar benefits the Burn Unit at Children’s, I am honored to be a part of the program. What is one interesting fact about you that you’d like our fans and followers to know about you? I am honored to be the father of one son and two daughters who have grown to be wonderful adults. They understand what it is to be a human being and live with courtesy, dignity and respect. I am a blessed man.